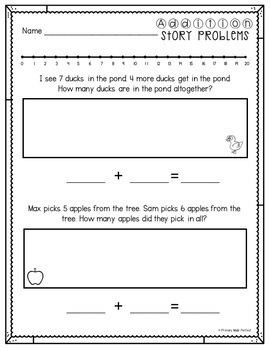 This math activities resource includes 12 differentiated addition pages with 24 story problems total! 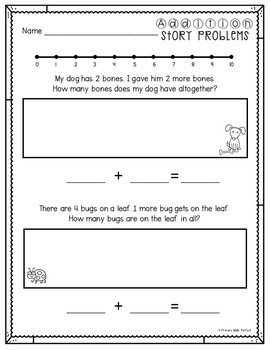 Each problem has space for students to show their work and write their answer in an equation. These also have easy to read story problems with picture support for beginning readers that can be used whole class, for independent work, homework, or any other way that fits your classroom needs. 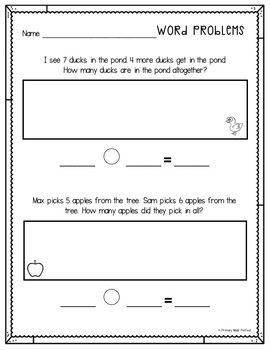 Both options use the same word problems, but they have different levels of support. 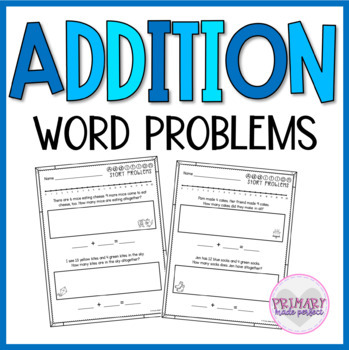 If you need other resources to practice addition and subtraction, check out these Addition and Subtraction Task Cards! If you are looking for more Story Problem resources check out my Math Story Problems Bundle which includes these individual pack below!